Is you kid crazy about those goldfish crackers? For many kids these crackers seem to be food group number one and for this kids there now is this amazing kids t-shirt. 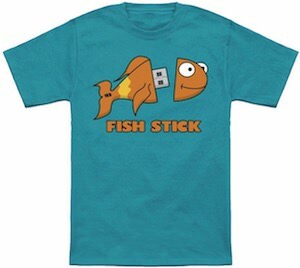 This t-shirt comes in white, grey and pink and has a picture of a Goldfish cookie on it. I am sure that your kids will love this t-shirt and that is why you can many sizes to make it fit perfectly. And if you don’t like this shirt then there are many other choices like organic shirts and even baby bodysuits. 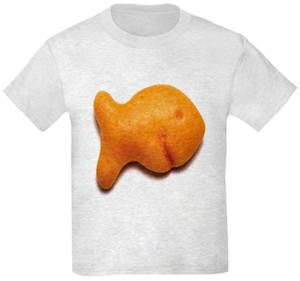 What ever shirt you choose the favorite fish of your kid will be on this Goldfish Crackers T-Shirt.